Caught By You is the second book of the Love Between The Bases series. This is Mike and Donna’s book. We see the potential sparks between these two in All of Me the previous book. So it was fun seeing more to their relationship. It starts off with seeing their chemistry and Mike is pretty determined in winning Donna over. But she is keeping a secret from him. Donna is attempting to gain her son back, who was taken from her when he was born. But she has always wanted her son and is trying to change so that she can be a good mother for her son. The last thing she needs is to enter into a sexual affair with the well known catcher of the CatFish team. Her ex and his wife are trying to take her son fully away from her and she is planning on doing whatever it takes to gain back her son. But plans can go awry when she ends up taking Mike’s marriage proposal. Not the most romantic…but practical and if it can work towards getting her son back….she will do it. But then the worst happens and Donna may lose her son if she doesn’t find another way to convince the judge of the truth. Caught By You was such a wonderful romance and I had a blast with Mike and Donna. This isn’t the most convential romance and I really liked the whole marriage twist. Even though their intentions is to be practical, we also see how much these two care for each other. They haven’t admitted how deep those feelings go…but if they are willing to enter a marriage together, I respect it and I even liked the way the story develops into twist and heartbreaking turns. There is quite a high emotional element that brought tears to my eyes. There is a portion to this story that just about broke my heart but it also creates true depth of character and motivation to do what it takes. These two are simply wonderful together and it was a fun ride seeing Mike and Donna. Caught By You is a charming and engaging story that will make you laugh….shed some tears and make you smile in the end. A BEAUTIFUL LOVE STORY!! 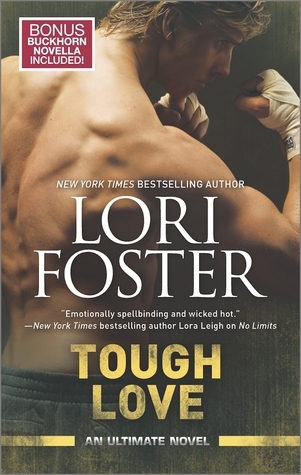 In Tough Love, the third book in the Ultimate series we have Stack’s story. Both Stack and Vanity have powerful chemistry to each other but haven’t acted out on it until Vanity takes control . Vanity has always been fond of Stack and wants more with him. She cares deeply for Stack, but she knows how afraid he is of commitment. So she wants to slowly ease him into a relationship because she knows what they have is explosive and worth the wait. So at first, we see the physical relationship between them grow. But there is drama with Stack’s family, his mother getting sick and his sister and her husband having troubles. Stack hates his brother in law, cheats on his wife and is a drug dealer and refuses to get a job. In Tough Love we see how Vanity cares about Stack…willing to do whatever it takes to get to know his family and do what needs to be done. 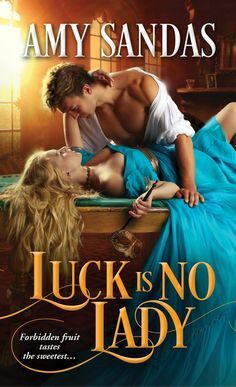 Vanity lost all of her family, and even though they left her a inheritance that she would never have to worry about financial worries….she craves family and the bond that Stack has with his mother and sister. But there is some danger that will test Stack and Vanity. WOWZERS!!! That is all I can say about Tough Love. I couldn’t get enough of this book and I loved these two together and also seeing more of the MMA crew. This group is hilarious, rambunctious, fights for each other and always has each other’s backs. And they included the women and I loved the way that they treat Vanity. They welcome her into their group easily and right away. I had so much fun seeing this story unravel and I loved the mystery and suspense element. I even got a kick out of the drama that gets revealed with Stack’s family. I loved his mother…she was so sweet. And his sister was very interesting and added a unique element to the story. But their bantering was hilarioius….typical siblings!! 🙂 The romance is explosive and dramatic. It was so fun seeing them work through their issues and the misunderstandings that occur. Overall a quick and engaging story!! STIMULATING!